Interviewers frequently start a job interview by asking you to provide an overview of your employment experience. This will often take the form of a request such as "Can you walk me through your resume?" Typically, candidates will recount their work experiences in order from the past to present, and focus their presentation on their job titles and the names of their employers. 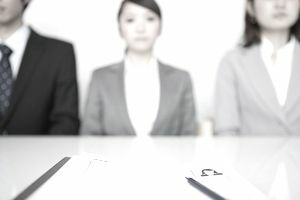 However, interviewees taking this approach don't tell employers much that they don't already know — and miss out on a critical opportunity to frame their case positively. Rather than summarizing the facts of your resume, consider this question an opportunity to highlight the aspects of your resume that show that you're a great match for the role. Use the time to tell the interviewer about your achievements and what you accomplished at each position you’ve held. Take advantage of this opportunity to create a favorable impression early on in the interview by leading the interviewer through your resume in a more selective manner. Start by highlighting the most compelling elements of your experience first. You don't need to share everything you have done at each job, describe every class you took, or go through every bullet point on your resume. Remember, the interviewer is likely holding a copy of your resume during the interview and will have a broad sense of the facts around each job, such as your job title, the company name, and the basics of your role. Aim to speak for a few minutes when you have to answer this question, but don’t talk for so long that your answer becomes tedious. Avoid rambling or delving into minutia and try to tell a coherent story in your response. The best way to accomplish this is to take some time to get ready ahead of time. Prepare by analyzing the most critical requirements for the job for which you’re interviewing. Then select the aspects of your work, academic, and volunteer history which best demonstrate that you have the qualifications and experience to excel in that position. Remember, this is the time to show off what you’ve done. Rather than a bland rendition of your position titles and responsibilities, cite key accomplishments and reference the skills that enabled you to achieve those successes. Be sure to mention how you impacted the bottom line in those roles, and how you added value to your employer. Did you help the company save money or work on a team that finished a major project? Be ready to explain these achievements in a succinct but interesting manner. Try to present your points in the form of stories that portray problems you solved and challenges you met. This part of the job interview is also a great opportunity to explain job movement as it relates to your career. For instance, you might say, "Working at ABC Company taught me a great deal about product marketing, but I ultimately made the move to XYZ Company because it offered me the opportunity to manage a team. Working in this kind of leadership and team-building environment is a real priority for me." Feel free to leave out jobs that are not relevant or impressive, and it’s fine to deviate from a chronological presentation. At the end of your presentation, the interviewer should have a clear understanding of five to seven assets in your background that will enable you to perform at a high-level in the job for which you’re interviewing. It's important to be accurate when you're recounting your work history. Forgetting about when and where you worked at any given time may not seem like something that might happen. But when you're stressed about interviewing, it can be easy to forget the exact details of your employment history. Review your resume before you go in for your interview. It’s also a good idea to bring a copy of your resume with you to the interview. If you’re not sure about what your interviewer needs to know, review this guide on sharing your work history during job interviews.